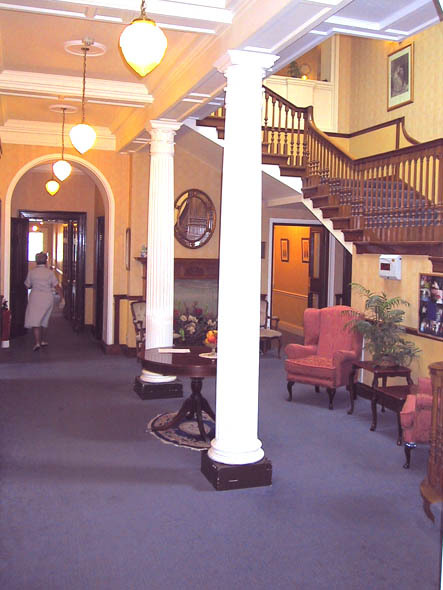 Abbots Leigh Manor Nursing Home is an imposing 19th Century manor house one mile from the Clifton Suspension Bridge. 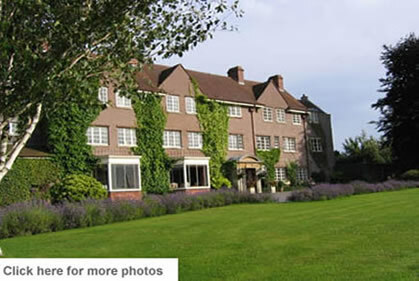 We enjoy an elevated position with wonderful views over the Severn Estuary and surrounding countryside and we stand in the expansive gardens laid out by Sir Egbert Cadbury. All our bedrooms have en-suite facilities (some with showers), nurse call points, telephones, televisions and internet access. 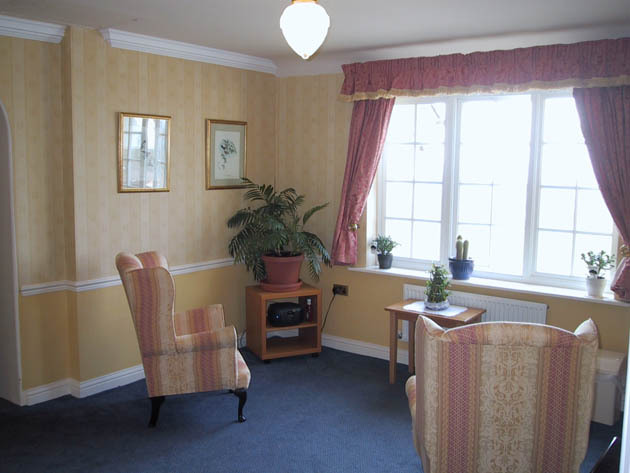 Our communal rooms include two lounges, two dining rooms and a conservatory. We also have a bar where residents and their families can socialise. The Way We Care - Kathy Bauer RGN has been our home manager for 21 years. She leads a stable and committed team of nurses and carers and we never use agency staff. We encourage our residents to make their own daily decisions and we are as flexible as our residents want us to be. We can provide care for terminally ill individuals and our specialist knowledge in this area enables us to provide the necessary physical and emotional support for both resident and family in these difficult situations. Our rooms are fully furnished but we can normally make space for any items of furniture a resident wishes to bring with them and, within our locality, we are happy to collect these items. 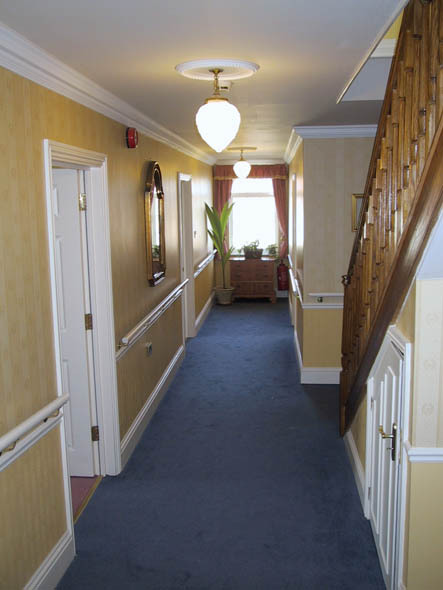 Residents are welcome to move within the home if a preferred room becomes available and we have a number of very spacious rooms which are suitable for married couples. 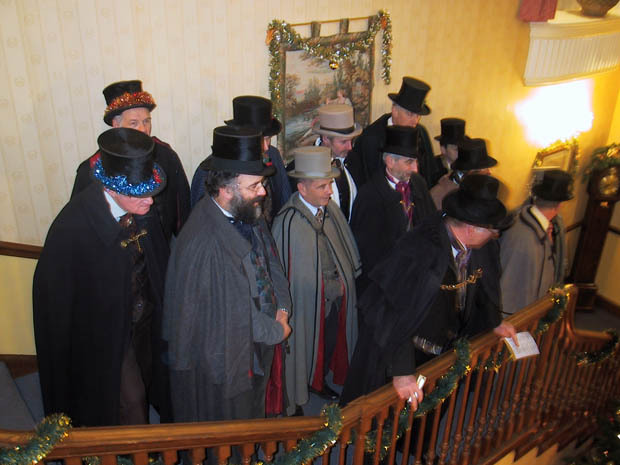 We don't have any visiting restrictions and visitors are welcome to dine with residents at any time (for which there is no charge). Our residents can have their meals in their room if they wish but we encourage everyone to come to the dining room for lunch, if they can, as this is the main meal of the day. Choice is available at all meals and snacks or drinks are available at any time of the day or night. Our bar, the ‘Manor bar’, opens twice a week for pre-dinner drinks and for special occasions and light alcoholic refreshments are available at all mealtimes. We have a mobile shop which sells toiletries, confectionery, cards and so on. 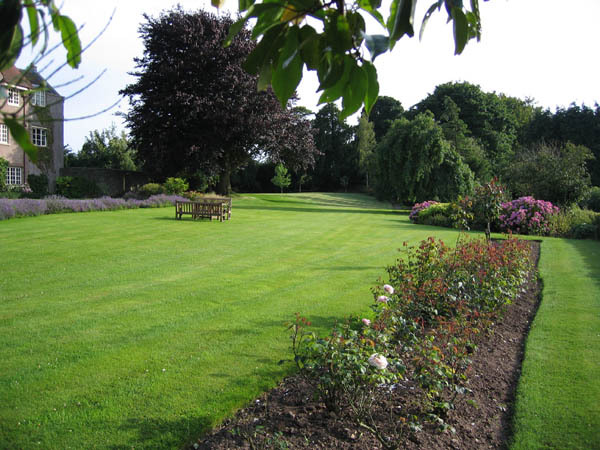 Our activities team organise daily entertainment and activities and our gardener runs a weekly gardening club. 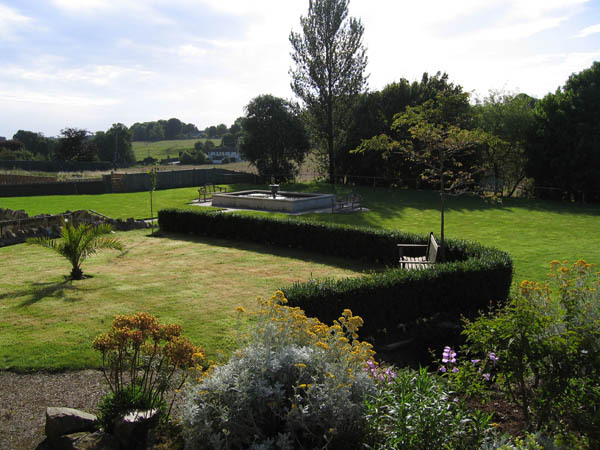 We also have a large greenhouse and a sunny patio overlooking ornamental ponds, a beautiful rockery and expansive lawns. Residents who want a change of scenery can enjoy a car ride to local places of interest or attend our local church. Our activities team also helps with personal shopping, outings, appointments and contact with family and friends and we have a laptop computer which residents can use to Skype friends and relatives anywhere in the world. Our GPs visit at least twice a week and other healthcare professionals, such as physiotherapy, chiropodists, opticians etc. visit regularly. Our hairdresser visits 3 days during the week. Testimonial from family 10th May 2018..........I cannot imagine a better Care Home for my mother. The staff are exemplary in their efforts to keep mum happy and content. small or insignificant for her to deal with, despite being a very busy person. Mum loves it here and she is not easily pleased! We love it too. I'd happily live there myself one day if the need should arise. 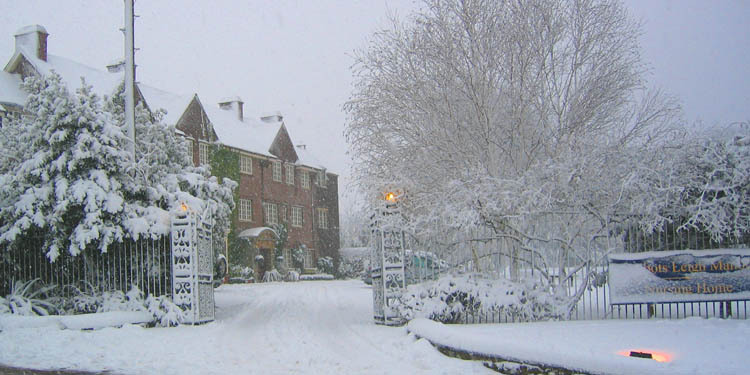 Testimonial from family 20th December 2017............We are really grateful to everyone at the Manor for the excellent level of care and support mum received from staff at all levels. It was a pleasure for us to visit mum knowing she was so well looked after and I will miss sharing Sunday lunch with mum and sitting in the sun in your wonderful grounds watching the birds. 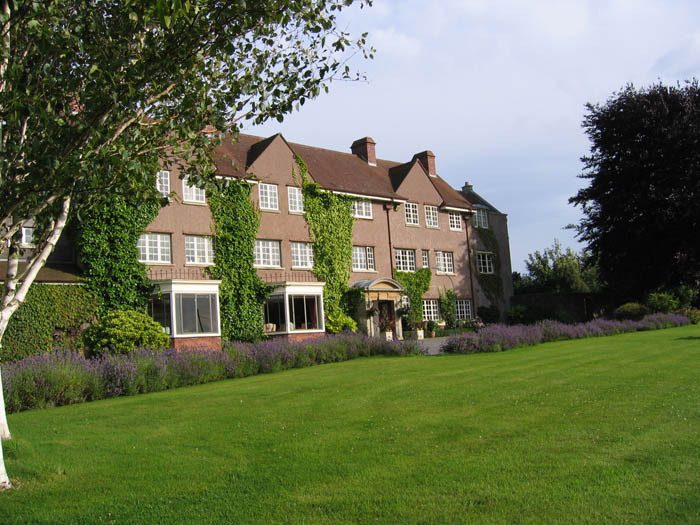 Testimonial from family 7th December 2017......What you have at Abbots Leigh in your lovely building, is a very special blend of nursing excellence, a graceful and enriching atmosphere and above all abundant care in the true sense of the word - Sensitively applied. 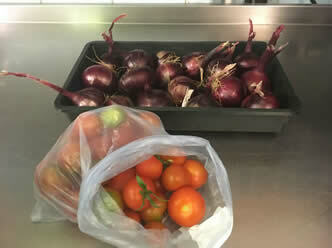 Wednesdays Gardening Club with Steve our Head Gardener from 11.00am. Thursdays Mindfulness with Peter from 11.00am and Quiz time between 2.00 - 3.00pm. Fridays Bean Bag Darts or Carpet Bowls with Josh from 11.00am. Saturdays Name that Tune at 11.30am and Bingo from 2.00 - 3.00pm. Sundays The Classical Composers from 11.00am and Nail and Hand Care Pamper from 2.00 - 3.00pm. We offer respite care. This is may be to help someone recuperate after a spell in hospital or to give family carers a break. New friendships are made and we often see respite residents more than once! Our fees cover all the normal day-to-day needs of our residents including care and attention, food, laundry, entertainment, activities, and local excursions etc. Most of our residents fund their own care. Most 'self-funders' are eligible to receive the Registered Nursing Care Contribution (FNC) - currently £156.25 per week - which is paid by the NHS. Other benefits and payments may be available including Continuing Healthcare (CHC) funding for individuals with complex healthcare needs. Local authorities also offer financial assistance to people with assets and savings below £23,500. We are happy to offer informal advice in connection with all funding issues - please feel free to call us on 01275 374669. Single room with en-suite WC and vanity basin (and shower) - £875 - £1095 per week.